Misstroke Analysis and Prescription (MAP). 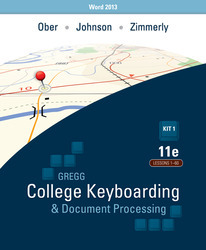 This incomparable prescriptive feature helps students improve their speed and accuracy on the keyboard. MAP is a highly sophisticated and individualized error analysis and remediation software program that will teach students not only how to recognize errors, but how to fix them as well.